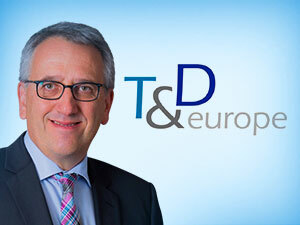 T&D Europe1 has elected Gerhard Seyrling as its new President for the next three years term. G. Seyrling is Vice President, Central and Eastern Europe & Russia at Alstom Grid, one of the three global manufacturers of equipment for the transmission of electricity, and part of the Alstom group. He follows Ralf Christian, CEO Siemens Low and Medium Voltage Division, after his 6 years of successful presidency. The new T&D Europe-President and the General Assembly thanked R. Christian for his outstanding leadership and engagement for achieving more visibility and recognition of the T&D manufacturing industry in the EU. Since the inauguration in 2008 T&D Europe has become an important player providing positions and expertise on all electrical power grid issues, contributing to enhanced energy efficiency, safe operation and security of electricity supply. The T&D manufacturers are facing a time of important changes for the EU energy policy, in a context of still lacking investments in the European electricity infrastructures, particularly in terms of smart grids, network interconnections and transport electrification. T&D Europe members reviewed this situation and considered that such developments require the EU policy makers to further develop a policy framework favourable to such long term and massive investments. Gerhard Seyrling stated: "T&D Europe members are convinced that, despite current difficult times for the electricity industry in Europe, the T&D industry will continue to enjoy a global leadership if, in addition to investments, a consistent support to R&D and innovation is guaranteed, notably based on the EU's Horizon 2020 and upcoming SET Plan Integrated Roadmap. T&D Europe will continue to provide its knowledge and expertise and will work in close partnership with EU policy makers in this respect."